In 2015, the national homicide rate increased for the first time in nine years. 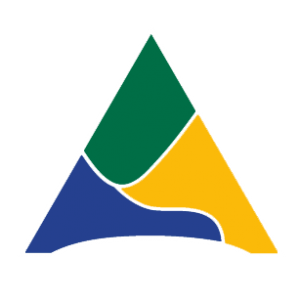 The homicide rate in Allegheny County stayed the same as the previous year and the City of Pittsburgh saw a 14 percent rate decrease from 2014. This is just one of the key findings included in this report examining data related to homicides in Allegheny County and Pittsburgh. 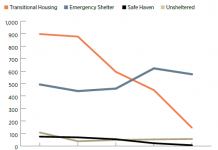 Homicide data from 2010 to 2015 is analyzed by location, weapons used and victim demographics among other factors in order to understand what contributes to community violence. Eighty-five percent of Allegheny County homicides were committed with a firearm. Seventy-eight percent of victims were black and 84 percent were male. 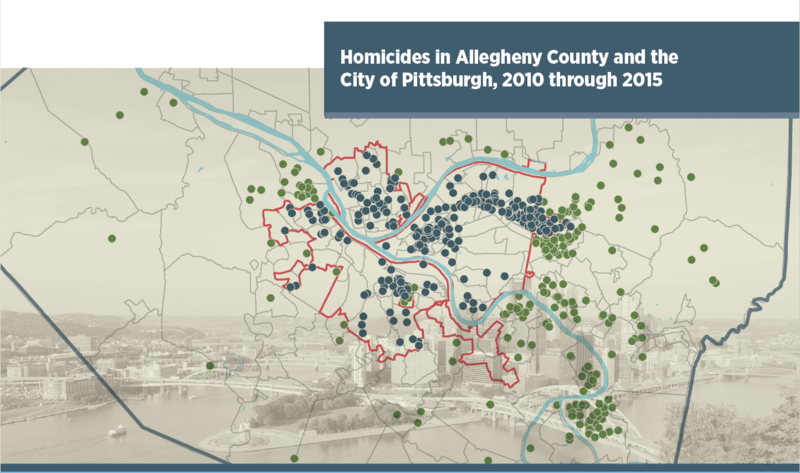 On average, half of Allegheny County’s homicides occurred in the City of Pittsburgh where Homewood South had the highest average number and rate of homicides per year (149 per 100,000 residents). Outside of the City, the highest number of homicides occurred in McKeesport, Wilkinsburg and Penn Hills. Duquesne and Rankin had the highest average homicide rate (more than 40 per 100,000 residents) over the period. 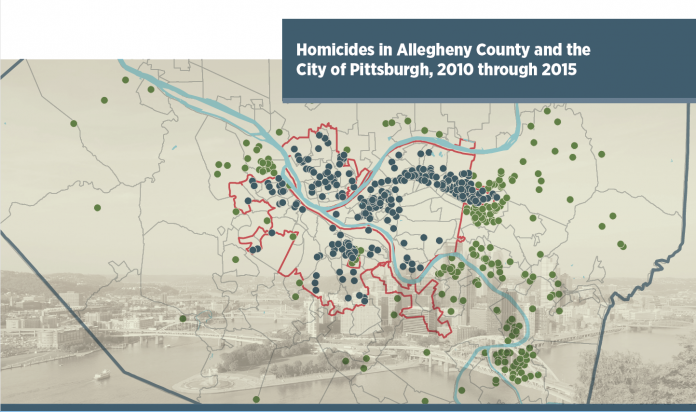 This publication limits its study to homicides that occurred from 2010 through 2015, with a focus on the City of Pittsburgh. 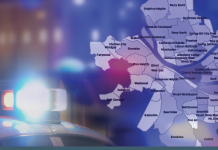 It is an update to two previously published reports: Homicides in Allegheny County, 1997 through 2012 and Violence in Allegheny County and Pittsburgh, 1997 through 2000. 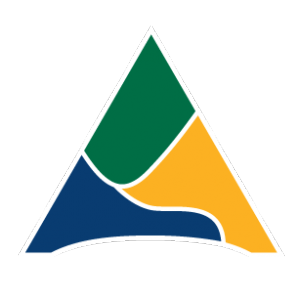 Click here to view an interactive dashboard that displays homicide data for Allegheny County.